When I hear the cadence of a drum squad, my heart skips a beat remembering my days in marching band at Dallastown High School. I loved marching through the parking lot to the football field to the beat of the school’s cadence. Today, while walking through downtown Nablus, I heard the enticing sound of drums coming from the main square. I quickly changed my afternoon plans and hastened to the square, where I found myself in the midst of a Freedom Rally. 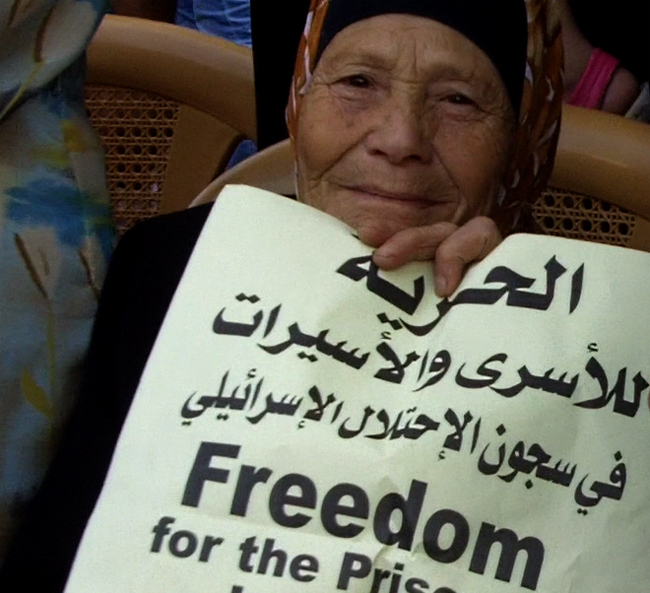 Everyone was holding signs protesting Palestinian imprisonment in Israeli jails. Children from many different schools were marching around the square in their uniforms. 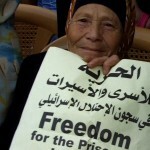 Mothers held framed photographs of their imprisoned sons. Music played and a stage hosted a few speakers. Downtown Nablus was packed like figs in a basket and the place was thumping with energy. Please watch the video clips from the rally in Nablus today.